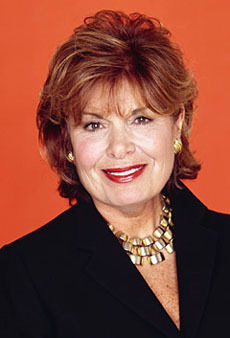 Former Co-Chairwoman of the RNC, and also Assistant Secretary of State for Educational and Cultural Affairs. After $100M (of $400M) had been cut from the PBS budget due to "liberal bias", Harrison was nominated to replace Kenneth Tomlinson as president. Funding was restored.